Hey everyone. I’m Riot_Mort, one of the game designers who have been working on event Missions! Since we launched the system, we’ve tried a variety of different mission types. I wanted to go over some of our big takeaways, struggles, and where we’d like to go moving forward. 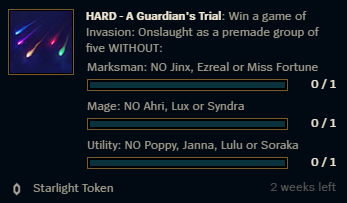 This is a new feature for us, and while we think there’s a lot of cool things Missions can bring to League and our events, we totally understand that we could do some really stupid things, too. What you’ve experienced so far, and you’ll continue to see for a while, is a lot of experimentation to see what resonates (and what doesn’t). We take all of your feedback very seriously, and we’re looking at every aspect of event Missions for ways we can improve. Missions can be effective at encouraging you to try new things, which has been one of our goals. However, forcing you into different game modes feels like it crosses the line for a lot of you. We want you to enjoy League how you want to enjoy it, and most of you enjoy Summoner’s Rift above all else. We think focusing Missions on Summoner’s Rift is a good thing. So, going forward, the majority of Missions will either target Summoner’s Rift or be a general Mission that will work on any map (such as earning 30 Assists, no matter which map). Rotating game modes are an exception because they’re time-limited. Creating a fun experience around a mode like Star Guardian: Invasion is one of the major benefits of the Missions. We’re able to challenge you and reward you for participating, and we are looking to do more of this in the future. We knew this one was something we needed to be careful with. The example above can be completed by pretty much every role—except support. What we hadn’t counted on was how resistant some people are to playing their non-main position. This one had a lot of support players simply saying, “Oh well, I guess I don’t get to do this mission,” which was not at all our goal. We’re going to be really cautious about how many times we ask players to do this in the future, but we also have some improvements coming. We’re still really interested in designing Missions encouraging specific champs to be played, as we feel there is a lot of potential for these types of Missions, but are treading lightly. Even a mission like the above, which doesn’t actually require you to play the champ in question, created more difficulty than we anticipated. 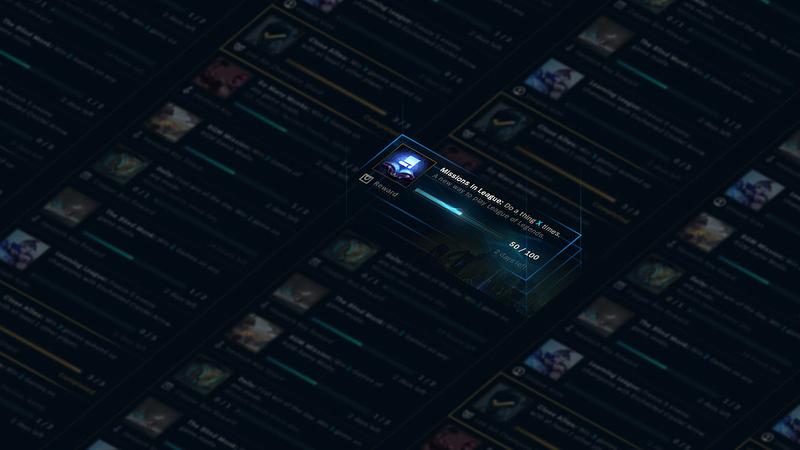 Many of you have suggested things like additional Missions for champions you’ve hit Mastery 7 on, and we know there are ways to have exciting Missions that ask you to play certain champs. We just need to find them and try more ways to do it. We like the idea of using the system to challenge you to try new things. With the launch of new champions like Kayn and Ornn, we saw an opportunity to reward you for trying them out. Kayn’s Missions turned out to be too far on the difficult side, and we’re still discussing if giving the Missions to players not interested in the champ was the right call. 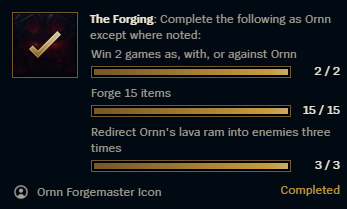 We think Ornn’s Missions turned out much better, as they encouraged you to try the unique parts of the new champion. We will likely be continuing these in the future since they encourage people to try champs they’ve never played. Who knows, maybe you’ll find a new main along the way! We knew these missions would be divisive. We are definitely sympathetic to the solo player and understand that any time we ask you to go into a premade, solo players feel left out and can’t always complete the mission. Our intention is to make something memorable for the players who do play as five. There are few experiences as unforgettable as coming together as a group of friends and conquering a challenge. This has always been a part of League, and we want to find new ways to offer that fun. With Star Guardian, we were cautious about organically allowing groups to tackle the difficult goals. We were worried about how that would affect champ select when strangers may not be able to work out the goals—there’s not much time to agree on a comp and who’s playing who during champ select. But we heard a lot of frustration from solo players that has made us look back at that decision to see if we can do better next time. It is hard to coordinate as a group of solo players, so when you’re successful, we should probably celebrate that fact. We understand solo players feeling like they’re missing out, and we’re looking into ways to alleviate some of this. 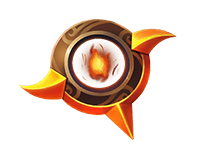 For now, it means these group Missions won’t have any exclusive rewards, except maybe a summoner icon to signify the amazing accomplishment. S-Rank in Invasion: Onslaught was tough! Our goal isn’t that every single mission will be completed by everyone, but rather that everyone has enough stuff to do during events. The new Worlds 5-man Missions are an attempt at creating compelling missions for premades, but they don’t have an exclusive reward tied to them. These Missions are designed to let a group of 5 players opt into a challenge and then work together to overcome it. 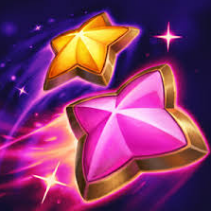 This happens organically a lot (players who make an all Yordle team or a full Star Guardian team), and we think these missions can be a lot of fun. While we typically don’t want missions to warp the game, if a team of five are willing to opt into it, we’re more okay with trying that out. We’ll be paying close attention to feedback though, and seeing what types of experiences you get from these Missions. Asking you to win games is pretty straightforward. You’re trying to win all the time already, right? While it’s true, having such a binary goal makes losing feel worse than it already does. A bland mission like this falls apart if you go on a three-game losing streak. We want to avoid this moving forward while still promoting winning, since winning games of League should come above all else. We’ll keep doing these types of Missions in the short-term future but are looking at ways to make it feel less bad if you have an off day on the Rift. Missions that progress over multiple games. Missions like this one have felt pretty good. They ask you to do things that are already important to League, but you still make some progress whether you win or lose. It feels pretty good to fill up those progress bars and finally complete them, and it also feels good when those progress bars take quite a few games to fill up. Expect to see more of these in the future! Missions the team does together. These Missions don’t force you into specific roles, but instead ask the whole team to cooperate on things they should already be doing well. This way, everyone needs to work together to win—which is what League is all about. Expect to see some more of these as well. So based on all this information, we’ve got some improvements coming that we think will help Missions continue to be even more fun and will offer some cool experiences. With the launch of the Worlds 2017 Missions, you can see that we now have the ability to create Missions with a ton of new objectives. 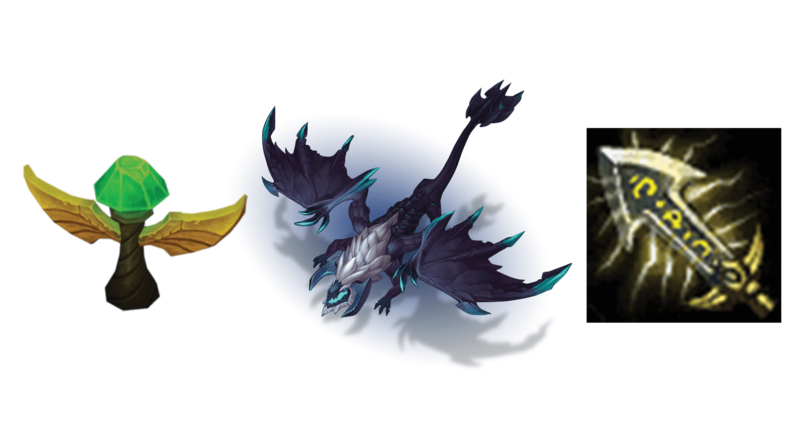 Things like dragons, ward placements, and item purchases are just some of the types of Missions you’ll see. With this, we think you’ll be able to try some more types of Missions (which should feel pretty good, we hope). As we mentioned, we want to give players ways to complete things that fit their play style and choices. Based on this, we are looking into creating Missions with OR conditions, so that you can decide what objective you want to chase without being forced into something you don’t want to do. Example: Kill 500 Minions/Jungle Spawns -OR- Get 30 Assists. 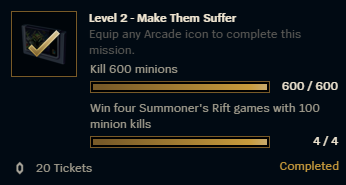 With this simple example, people who play in lane can complete the mission by killing minions, but support players will still be able to complete the mission without having to play an ADC or queue specifically to complete the mission. This will allow us to do some more unique mission types. As I mentioned, Missions that are just “win a game” are pretty binary. We think we can do better, so we’re looking into Missions where winning is still very desirable, but losing doesn’t mean you make no progress. Example: Get 100 Assists. Games you win count for double. In this example, if you get 15 assists and win, you will get credit for 30—which feels great. If you lose, you’ll still get credit for 15. This way losing streaks aren’t as painful, but winning is still the more desirable result (as usual). In closing, let’s talk about rewards. One thing that’s come up a lot is that the rewards don’t feel like they’re worth the time/effort you spend on completing the missions. This is something we’re taking very seriously and want to try to do better on. Admittedly, our goal was to get Missions and events out to you first, and now our next challenge is making the rewards better. 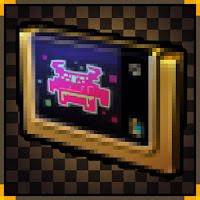 A skill reward: These are rewards for completing really difficult challenges. They indicate you were one of the precious few able to overcome an extreme challenge and let you show off just how awesome you are. This is the type of mission we will be careful to not do too often, but when we do it, we want the reward to be great. We are currently discussing our options on exactly how we want to reward this particular type of accomplishment and are open to you thoughts. Overall, our goal is for Missions to open you up to new experiences and challenges. When you complete them, you should feel incredibly satisfied and proud—and have something to remember and commemorate your accomplishment. We hope we can deliver on that goal. If you have any questions or feedback, we love hearing it (really).